A proposal to build a £278 million new concert hall for the London Symphony Orchestra revealed. 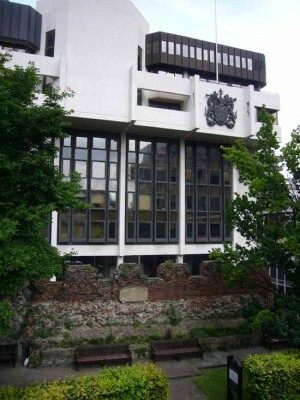 Proposals to build a new state of the art Centre for Music in the heart of London took a step forward today with the announcement that the Government will provide £5.5 million in funding for a full business case for the project while the City of London Corporation has agreed its willingness in principle to make land available for the site. The opportunity to begin the next phase comes as a feasibility study exploring options for a new world class music facility in London is published. The study sets out an economic, business, cultural and educational case for a potential new Centre for Music in London, and highlights a significant moment of opportunity in delivering an outstanding new facility in the capital. The Government is making £5.5 million available via Arts Council England to fund the development of a detailed business plan and analysis of costs and benefits; work on the initial design for the building; explore the options for funding the project and beginning fundraising; and undertake extensive consultation with the arts and education sectors. Meanwhile, the City of London Corporation is backing this vision by agreeing in principle to make the land available for the Centre, significantly reducing the external funding requirement for the project. This support is part of the City’s ambitious plans to transform the area surrounding the Barbican into a world-leading cultural hub for the arts, heritage and learning. The six-month initial feasibility study, Towards a World-Class Centre for Music, was commissioned by the Chancellor of the Exchequer and the Mayor of London in February this year. The report has been produced by the Barbican Centre, the London Symphony Orchestra (LSO) and the Guildhall School of Music & Drama alongside expert specialist teams. At the heart of the vision outlined in the study are proposals for a world-class concert hall for the digital age, an ambitious educational offer to bring music making to millions and a commercial plan that would maximise the revenue raising and fundraising potential of the new Centre. It would be a place for all, hosting a diverse programme of classical and contemporary music; fulfilling the belief of the three organisations and incoming LSO music director Sir Simon Rattle that everyone is entitled to experience the joy of music-making; and it would welcome audiences in an area that will be transformed over the coming years through new transport links and investment. The Centre could act as a beacon for music in this country, delivering world-class acoustics in a building that would be the first of its kind in the UK to be designed and delivered in the digital age. With education and accessibility at its core, the new Centre for Music would aim to have the same transformative effect on public engagement with music that Tate Modern brought about for contemporary art. 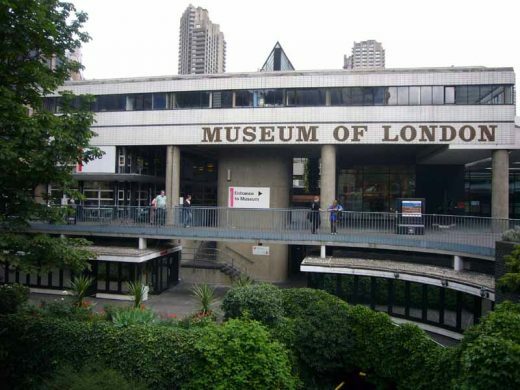 It would be home to the LSO, as well as a venue for guest orchestras and the BBC Symphony Orchestra, who would continue its Associate relationship with the Barbican across both the proposed Centre for Music and the Barbican Hall. Building on the longstanding existing partnership between the Barbican, LSO and Guildhall School, the Centre would seek to work with orchestras and music and education organisations from across London and UK to develop opportunities for everyone to experience, participate in and learn about all aspects of music. This collaborative offer would aim to reach hundreds of thousands of people directly and millions virtually through digital learning resources available to all. 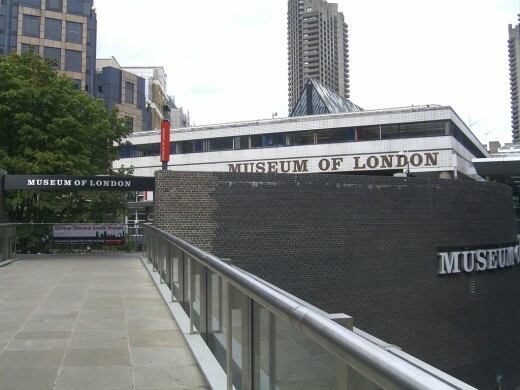 The feasibility study considered a number of locations, with the study recommending the current site of the Museum of London as the preferred option. This site will become available when the Museum fulfills its ambition to expand into a new location in West Smithfield. Its current site could see a complete transformation with the existing building removed to make way for a landmark development. The land and streets around the site could be radically reimagined to ensure the new Centre is accessible and welcoming to visitors with improved links to the Barbican Centre and Guildhall School, tourist destinations such as St Paul’s Cathedral and Tate Modern as well as the two new Crossrail stations in the area. A complementary part of the plan set out in the feasibility study would be to redevelop the current Barbican Hall as a home for innovative contemporary music and performance, while LSO St Luke’s would be adapted to enhance its community focused and digital recording facilities. Alongside the Guildhall School’s acclaimed new medium-scale hall at Milton Court, this would create an internationally outstanding collection of linked venues at the heart of a world-leading cultural city. The feasibility study concludes that the Centre for Music could consolidate the UK’s position as a world-leading centre for the cultural and creative industries and deliver important benefits to London and the UK. This includes additional tourism, economic benefits related to London remaining at the forefront of the global music industry, wellbeing benefits for audiences arising from engaging with music and consuming music digitally, and longer-term benefits for individuals and society at large from education and engagement activities. 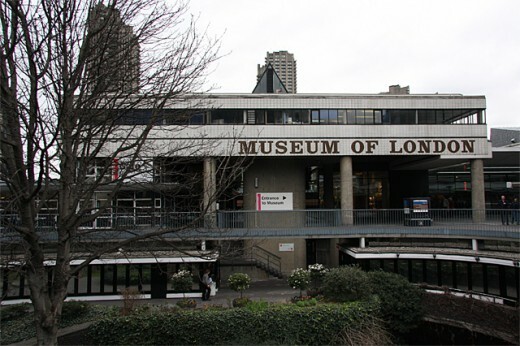 The feasibility study estimates the benefits of investing in a Centre for Music, alongside the proposed works to the Barbican Hall and LSO St Luke’s, would deliver a net present value of over £890 million to the UK economy. Based on international benchmarking the estimated construction cost of the proposed new Centre is in the region of £278m. As part of the next phase of the project the partners will be doing detailed costing work and business planning alongside exploring options for funding the project and ensuring that it offers the best possible value for money. The feasibility study was carried out alongside expert consultants, GVA Acuity and Arup Associates, and Gardiner & Theobald, with input from DP9, Gordon Ingram Associates, Nagata Acoustics, Regeneris, Baker & McKenzie and Ruth Jarratt, with External Advisor Sir Nicholas Hytner and consultation by Bonnar Keenlyside and Peter Phillips. Members included representatives from Arts Council England, City of London Corporation, Department for Culture, Media and Sport, Greater London Authority and HM Treasury. Members included representatives from Barbican Centre, City of London Corporation, Guildhall School of Music & Drama and London Symphony Orchestra. The next stage of the project will involve completing the full business case for the project, agreeing the terms for the acquisition and development of the preferred site, developing the concept design to RIBA Stage 2 and beginning the private sector fundraising with a view to securing a lead funder. As part of this phase, the productive dialogue that has begun with stakeholders, including with orchestras, music and education organisations from across London and the country, will continue. The Barbican, London Symphony Orchestra and the Guildhall School’s relationship is a pioneering cultural alliance between a world-class orchestra, arts centre and conservatoire in the City of London offering an unrivalled programme for audiences and transformative opportunities for young people.